Biscayne Corridor is the section of Downtown Miami located between 14th and 71ststreet. The area has recently been changing to attract the attention of new retailers, restaurants owners, developers, and much more. The area is no longer just home to business headquarters and financial corporations. 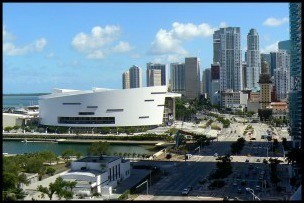 Biscayne Corridor houses many entertainment venues such as the American Airlines Arena where the Miami Heat basketball team play, concerts are held, and where other activities take place. There is a new performing arts center and countless establishments for fine dining of any type. Biscayne Corridor is near some of the most unique and luxurious waterfront and non-waterfront homes and condos. You have a choice of living in large, lavish homes or opt for a smaller, convenient condo in the middle of all of the action. The buildings in this area are a mix of newly constructed condos with a modern design and buildings with a classic design. Any area in or near Biscayne Corridor has chic shops, boutiques and restaurants for you to enjoy. Along with being only a few minutes from the beach, Biscayne Corridor is also close to the airport and all of the major highways to get you anywhere you need to go. Biscayne Corridor is becoming one of the hottest places to shop, eat, work, and most importantly, live.